Search Engine Optimisation (SEO) is the process of improving the visibility of your website or web page in search engines “natural” or “organic” search results. In general, the earlier (or higher on the page), and more frequently your website appears in the search results list, the more visitors it will receive from the search engine’s users. This gives your website its web presence. So how do I make my website appear in search results? When undertaking SEO we look at two main areas; On-site and off-site optimisation. As the name suggest "on-site optimisation" is about "making better" your website and may involve editing its content, HTML and associated coding in order to increase its relevance to specific keywords, and to remove barriers to the indexing activities of search engines. We'll look at your website content and advise what needs to be changed to make it work more effectively for you. We'll look at the specific keyword density of your website content and advise on a plan of action to correct this. We'll check the codebase of your website for any errors and advise on the best course of action. We'll ensure that your website has good error page management in place, vital for catching visitors hitting missing, removed or wrong pages. We'll ensure that your web pages have a unique and relevant page title. We'll ensure that your web pages meta tags are all correct and relevant. We'll analyse the structure of your website navigation and internal linking structure and advise on best practice. We'll ensure that your web pages include correct use of h1 and h2 (heading) html markup. We'll ensure that your website has a valid .xml sitemap in place, a basic requirement by search engines such as Google. Off-site optimisation is all about undertaking "external" work and will include keyword analysis and competitor analysis in order to promote your website more effectively. Increasing the number of backlinks, or inbound links, is another SEO tactic we use to drive more traffic to your website. We'll undertake an organic link building process to drive traffic to your website. We'll perform a competitor analysis to identify what improvements need to be considered for your website to supersede those of your competition. We'll perform a keyword analysis to ensure that important / unconsidered search strings are not missing from your website content. Synergy can carry out SEO as a stand-alone service or as a part of a broader marketing package. 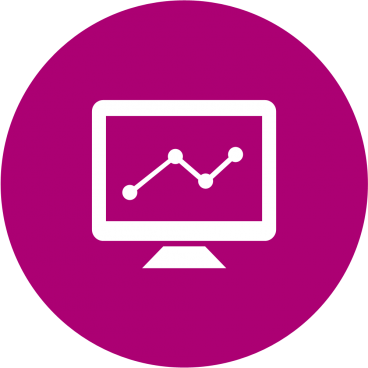 An entry level SEO package, we'll undertake an on-site SEO analysis and make recommendations for improvements. We'll implement some measures if your website is viable. We'll undertake everything from our starter package but we'll also perform a competitor analysis and keyword analysis. We'll implement some measures if your website is viable. We'll undertake everything from our professional package but we'll also undertake an organic link building process to drive traffic to your website. We'll implement all measures if your website is viable. Want to know more about SEO? You can read our What is SEO? Some useful hints & tips! news article.